The media world is full of stories about Mrs. Homai Vyarawalla who passed away at the age of 98 on 15th January this year in Baroda. The truth is, this well-known figure in the Indian political and photographic world was a Delhi Parsi, who lived out the last years of her life away from the public eye in Baroda. Homai Vyarawalla wasn’t just a great photographer, she was a treasure house of Indian history and the Politics of Independence. In recent times, the Parzor Foundation worked with her for many years to fulfill her ‘last desire’ – and published “India In Focus: Camera Chronicles of Homai Vyarawalla” by Sabeena Gadihoke in 2006. This was followed by many new triumphs for Homai – Exhibitions of her photographs across India, a Retrospective at the NGMA and the Padma Vibhushan Award! 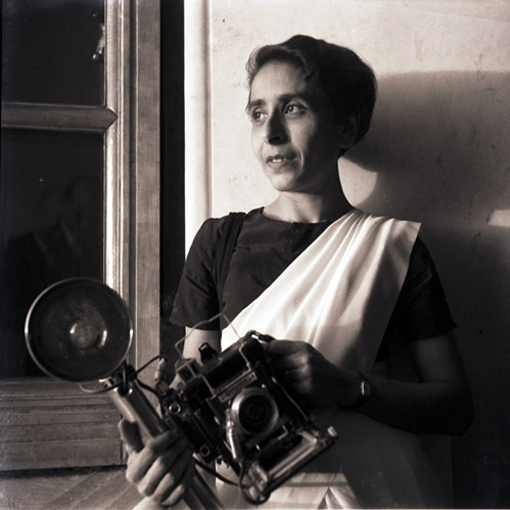 The Delhi Parsi Anjuman, and the Parzor Foundation invites you to join us for a Memorial Meeting to celebrate the life of Homai Vyarawalla – India’s First Woman Photojournalist on Sat 18th Feb at 5 p.m. at theDelhi Parsi Anjuman, Bahadurshah Zafar Marg, Delhi Gate, New Delhi 110 002. There will be a short prayer by Ervad Cawas Bagli, a brief video presentation on her by Sabeena , presentations by those close to her, and an opportunity for you to share memories of this remarkable pioneer of the Parsi community. To know more about Mrs. Homai Vyarawalla, please click here.